San Francisco—September 27, 2018—Mobile publisher and developer FunCube Technology Limited announced today that the world’s first MOBA + TCG mobile game Legend of Ace is available now and open for mayhem. Legend of Ace is the world’s first mobile game to combine fast-paced MOBA combat with the ability to collect and combine cards TCG-style to customize heroes. The game is available now in the App Store and Google Play. 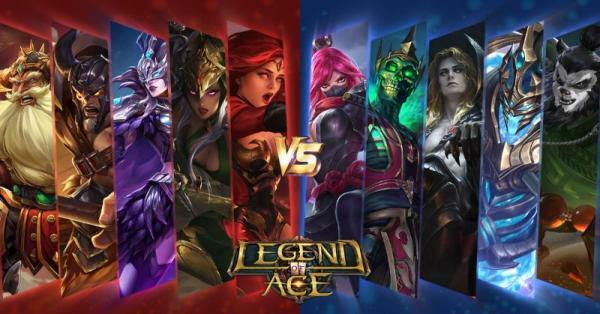 Legend of Ace is the latest mobile game featuring classic 5v5 MOBA-style gameplay modes, plus a TCG system optimized for mobile play with a focus on a fast and fair eSports experience. Players choose their hero’s attribution cards before each battle and the combination cannot be changed once the game has commenced. Select different cards to modify a hero’s attack and defense attributes and even provide new skills. With hundreds of cards available, the possibilities for hero customization are endless! In classic 5v5 MOBA style, players select a favorite legendary hero and compete on beautifully rendered maps battling hordes of enemy player heroes, as well as myriad unique and special monsters, to ascend the ranking charts, achieve glory, and earn awesome prizes. However, unlike other mobile MOBA games, players won’t need to use coins to buy their hero’s equipment in each battle, giving players the ability to concentrate on the battle itself. A time limit of 5 to 10 minutes per battle ensures an ultra-fast pace of the game and truly fair play. Accomplish specific goals in each game to unlock achievements and earn special rewards. Legend of Ace features worldwide leaderboards and supports clan guilds so players can team up with or challenge their friends. Follow Legend of Ace on Facebook, Twitter and Instagram to keep up with all the latest news. FunCube is a team of enthusiastic gamers, blending industry veterans and talented newcomers. Legend of Ace is our first game.